Moving to a new house can be a stressful process for anyone, which is why Quicksilver provides high-quality removal services for hundreds of clients across the North East. Established over 30 years ago, Quicksilver Moving & Storage has become one of the most successful independent removals and storage companies in the area. We are committed to providing all customers with an easy and professional removal so that you never have to worry about anything. As registered members of the British Association of Removers, we follow strict regulations and standards as set by the BAR to ensure that we always provide a high quality service. Below are have listed some of the many options to consider when moving, in order help you decide which is the best path for your move. For more information on our removal services in Whitley Bay, please call today on 0191 264 6677. When looking to move to a new house there are a variety of different options to consider, depending on how much time you have and how involved you wish to be in the removal process. We recognise that each removal is unique and therefore offer tailored services to ensure we meet every customer’s needs. Quicksilver will always let you decide how much of the move you wish to be a part of, giving you the additional freedom to carry on life as you please whilst moving to a new house. Option 1: The first option to consider is carrying out the move yourself. This will involve packing, hiring a vehicle, transport to the new property and unloading all of your belongings. This can be very time consuming and require a lot of help in order to be successful. Completing the move yourself can also be very stressful at times. It will also require additional resources such as boxes, vehicles and more. Option 2: As the more popular option, you could hire a removal company to take care of the move for you. An example of this is Quicksilver Moving & Storage, based in Newcastle. They are a qualified and experienced removals company who have been working in the removals industry for many years. Hiring a removal company will ensure that every element of the move is organised and planned correctly to ensure no errors occur. The team will come to the property on the day of the move and load all of your belongings onto the Quicksilver van or lorry, depending on the size of your move. They will then transport your belongings to the new property, ready to unload your items when you arrive with the keys. Option 3: In addition to hiring a removal company, you may also require some support in packing up your belongings before the move. 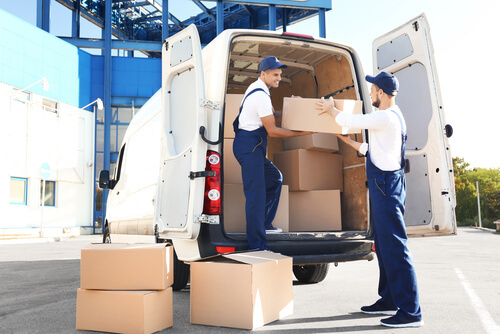 Quicksilver are able to provide packing services to customers and ensure that all items are packed securely and ready to be loaded on to the vehicle. We offer a variety of different packing services, depending on your requirements, so that you receive all the support you need. You can also purchase a variety of packing materials from our box store. If you decide to move with us you will also receive a discount on some of these items. Option 4: As well as the removal and packing, our team can also help dismantle or move any larger furniture that you are unable to by yourself. If you have any problems during the day, please do not hesitate to let one of our team know and they will do their best to support you in any way they can. When moving to a new house you’ll want to ensure you have enough time to get everything ready. Moving can be stressful and therefore it’s important to look at all of your options. Storage is an easy solution for those who need that extra time and space to move. At Quicksilver, we offer high-quality storage options for customers in both the domestic and commercial sectors. When you store with Quicksilver, you store with confidence. We maintain a specific and detailed inventory system which allows us to keep all of our customers’ items safe and well managed. Our team are fully trained and also have years of experience in managing our storage warehouse. As soon as they take in an item all the data is carefully stored, making it easy to access the item in the future. We store all types of different household items. Whether you have a large appliance or garden furniture, your items will be kept in secure wooden containers. If they are unable to fit into our typical containers they will be loaded onto pallets. All items are handled carefully by our storage team. If you are looking for reliable and high-quality storage then we offer the perfect service for you. Whether you require short-term or long-term storage we will make sure your items are kept in perfect condition. Give us a call today to find out how affordable domestic storage is! As a team Quicksilver have more experience than most removal companies in the area do. With experience comes knowledge. We know exactly how to get you from A to B without any hassle – just good service. You can trust us to do the job and to do it well. We have been collecting reviews through reference line so you can see exactly what our customers think about us and our services. Our team are always professional, no matter what the job is. Whether you are moving house or simply wish to put items into storage we always make sure that the client is happy with the service. We offer a premium service that almost always exceeds our customers’ expectations. From removals to packing services and storage, we do it all. Our comprehensive services allow our customers to move home without stress. We also offer document management and commercial services for those who require it. We are able to help people in all types of circumstances. Even if you are moving house last minute, we will do everything we can to make your move a success. Although based in Newcastle and covering Whitley Bay, we can move our customers anywhere. No matter if you are looking to move abroad or to the South, we will get something organised for you. Our team always work hard to make sure you get to your new home safely, wherever it is. If you are searching for ‘Removal Companies Whitley Bay’ then please contact Quicksilver on 0191 264 6677. We will be able to provide you with a removals quote and answer any queries that you may have regarding our services. Natalie is the content writer for Quicksilver and updates our blog every month. She enjoys helping out our customers with moving tips and advice.